It may surprise you to know that some Orem people have very strong opinions about which type of toothbrush is the best: manual or electric. Is there really one that is clearly better? Most Orem cosmetic dentists will tell you that all toothbrushes, when used correctly, are effective in removing plaque and that choosing which kind you like is really up to you. Today in the Orem family dentistry blog we want to give you some extra information about toothbrushes to help you decide which kind is right for you or your child. Cost and convenience should be considered. 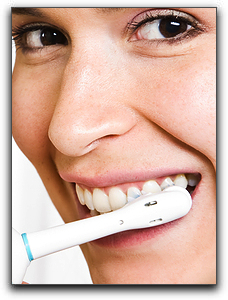 Some Orem people argue that even though electric toothbrushes cost more, you’ll save on dental bills. However, there are no definitive studies to back up this claim. Manual toothbrushes are easy to find, whereas not all drugstores in the Orem area carry all types of electric toothbrushes. This can be difficult when buying replacement heads. People who travel may find that a smaller, manual toothbrush is easier to pack (and you don’t have to remember batteries). The pressure you put on your gums with either type of toothbrush is important. Some Orem residents say that it’s difficult to know how much pressure they use with electric toothbrushes, while others say that because of the quick electrical movements, they tend to be more gentle on their gums than when they use manual brushes. You may want to try them both to see what your brushing style is and discuss it with your Orem cosmetic dentist. Special consideration should be taken for people with arthritis. Most area dentists advise their elderly and arthritic patients to use electric toothbrushes when their manual dexterity is diminished. As for children, once they are old enough, an electric toothbrush may be preferable, but safety should always be the first concern for parents. Also, all dentists in Orem and the surrounding areas will remind you to look for the ADA seal on any dental product you buy. We’re Drs. 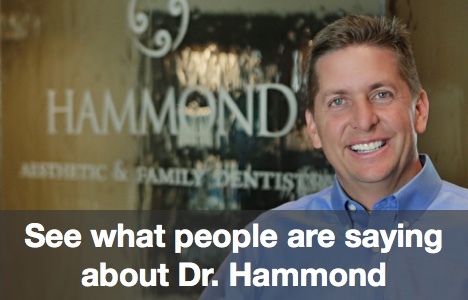 Hammond and we want to thank you for visiting our Orem dental blog. If you are looking for dental care, tooth whitening, or cosmetic dentistry in or around Orem, give us a call at 801-374-0070.